Love the vehicle so much you would like to see its price? BACKUP CAMERA, PANORAMIC SUNROOF, BURMESTER PREMIUM SURROUND SOUND, HEATED FRONT SEATS, COMFORT ACCESS, DYNAMIC SELECT, COLLISION PREVENTION ASSIST PLUS, RAIN SENSING WINDSHIELD WIPERS, AND MUCH MORE! !, $40,855 ORIGINAL MSRP!!. Priced below KBB Fair Purchase Price! Certified. Mercedes-Benz Certified Pre-Owned Details: * Transferable Warranty * 165 Point Inspection * Limited Warranty: 12 Month/Unlimited Mile beginning after new car warranty expires or from certified purchase date * Vehicle History * Warranty Deductible: $0 * Includes Trip Interruption Reimbursement and 7 days/500 miles Exchange Privilege * Roadside Assistance CARFAX One-Owner. Clean CARFAX. Odometer is 3230 miles below market average! 24/32 City/Highway MPG Mountain Gray Metallic on Ash.BACKUP CAMERA, PANORAMIC SUNROOF, BURMESTER PREMIUM SURROUND SOUND, HEATED FRONT SEATS, COMFORT ACCESS, DYNAMIC SELECT, COLLISION PREVENTION ASSIST PLUS, RAIN SENSING WINDSHIELD WIPERS, AND MUCH MORE! !, $40,855 ORIGINAL MSRP!!. Mountain Gray Metallic on Ash. PREMIUM ONE, COMMAND NAVIGATION, SIRIUS XM SATELLITE RADIO, POWER REAR SUNSHADE, SPORT PACKAGE, COMFORT SUSPENSION, SPLIT FOLDING REAR SEATS, BACKUP CAMERA, HARMON KARDON, HEATED FRONT SEATS, AUTOMATIC WINDSHIELD WIPERS, AND MUCH MORE! !, $60,105 ORIGINAL MSRP!!. Priced below KBB Fair Purchase Price! Clean CARFAX. Odometer is 6521 miles below market average! 20/28 City/Highway MPG Polar White on Black.PREMIUM ONE, COMMAND NAVIGATION, SIRIUS XM SATELLITE RADIO, POWER REAR SUNSHADE, SPORT PACKAGE, COMFORT SUSPENSION, SPLIT FOLDING REAR SEATS, BACKUP CAMERA, HARMON KARDON, HEATED FRONT SEATS, AUTOMATIC WINDSHIELD WIPERS, AND MUCH MORE! !, $60,105 ORIGINAL MSRP!!. HEATED FRONT SEATS, DYNAMIC SELECT, POWER FRONT SEATS, BACKUP CAMERA, ACTIVE BRAKE ASSIST, RAIN SENSING WINDSHIELD WIPERS, AND MUCH MORE! !, $38,075 ORIGINAL MSRP!!. Priced below KBB Fair Purchase Price! Clean CARFAX. Odometer is 518 miles below market average! 23/31 City/Highway MPG Polar White on Black.HEATED FRONT SEATS, DYNAMIC SELECT, POWER FRONT SEATS, BACKUP CAMERA, ACTIVE BRAKE ASSIST, RAIN SENSING WINDSHIELD WIPERS, AND MUCH MORE! !, $38,075 ORIGINAL MSRP!!. PREMIUM PACKAGE, SIRIUS XM, NAVIGATION, APPLE CARPLAY/ ANDROID AUTO, LANE TRACKING PACKAGE, LANE KEEP ASSIST, BACKUP CAMERA, HEATED STEERING WHEEL, HARMAN KARDON SURROUND SOUND STEREO SYSTEM, RUNNING BOARDS, POWER LIFTGATE, HEATED FRONT SEATS, SUNROOF, COLLISION PREVENTION ASSIST PLUS, AND MUCH MORE!, $60,845 ORIGINAL MSRP!!. Certified. Mercedes-Benz Certified Pre-Owned Details: * Includes Trip Interruption Reimbursement and 7 days/500 miles Exchange Privilege * Warranty Deductible: $0 * Limited Warranty: 12 Month/Unlimited Mile beginning after new car warranty expires or from certified purchase date * 165 Point Inspection * Roadside Assistance * Transferable Warranty * Vehicle History CARFAX One-Owner. Clean CARFAX. Lunar Blue Metallic on Black.PREMIUM PACKAGE, SIRIUS XM, NAVIGATION, APPLE CARPLAY/ ANDROID AUTO, LANE TRACKING PACKAGE, LANE KEEP ASSIST, BACKUP CAMERA, HEATED STEERING WHEEL, HARMAN KARDON SURROUND SOUND STEREO SYSTEM, RUNNING BOARDS, POWER LIFTGATE, HEATED FRONT SEATS, SUNROOF, COLLISION PREVENTION ASSIST PLUS, AND MUCH MORE!, $60,845 ORIGINAL MSRP!!. Lunar Blue Metallic on Black. PREMIUM ONE PACKAGE, SIRIUS XM SATELLITE RADIO, HANDS FREE ACCESS, APPLE CARPLAY/ANDROID AUTO, ILLUMINATED STAR, PANORAMIC SUNROOF, HARMON KARDON PREMIUM SOUND SYSTEM, DYNAMIC SELECT, BACKUP CAMERA, RAIN SENSING WINDSHIELD WIPERS. Clean CARFAX. 23/31 City/Highway MPG Night Black on Black.PREMIUM ONE PACKAGE, SIRIUS XM SATELLITE RADIO, HANDS FREE ACCESS, APPLE CARPLAY/ANDROID AUTO, ILLUMINATED STAR, PANORAMIC SUNROOF, HARMON KARDON PREMIUM SOUND SYSTEM, DYNAMIC SELECT, BACKUP CAMERA, RAIN SENSING WINDSHIELD WIPERS. PREMIUM 1 PACKAGE, SIRIUS XM RADIO, MULTIMEDIA PACKAGE with 8.4 HIGH RESOLUTION DISPLAY, NAVIGATION with VOCE CONTROL, TOUCH PAD, BACKUP CAMERA, PANORAMA ROOF, HEATED STEERING WHEEL, BURMESTER SURROUND SOUND STEREO SYSTEM, HEATED FRONT SEATS, REMOTE START, AND MUCH MORE!!!. Clean CARFAX. Odometer is 2750 miles below market average! 23/32 City/Highway MPG Black on Black.PREMIUM 1 PACKAGE, SIRIUS XM RADIO, MULTIMEDIA PACKAGE with 8.4 HIGH RESOLUTION DISPLAY, NAVIGATION with VOCE CONTROL, TOUCH PAD, BACKUP CAMERA, PANORAMA ROOF, HEATED STEERING WHEEL, BURMESTER SURROUND SOUND STEREO SYSTEM, HEATED FRONT SEATS, REMOTE START, AND MUCH MORE!!!. PREMIUM ONE PACKAGE, SMARTPHONE INTEGRATION, APPLE CARPLAY/ANDROID AUTO, LANE TRACKING, LANE KEEPING ASSIST, COMMAND NAVIGATION, SIRIUS XM SATELLITE RADIO, COMFORT ACCESS, PARKING ASSIST PACKAGE, PARKING PILOT SYSTEM, SURROUND VIEW CAMERA SYSTEM, HEATED STEERING WHEEL, HARMON KARDON SURROUND SOUND SYSTEM, DYNAMIC SELECT, COLLISION PREVENTION ASSIST PLUS, HEATED FRONT SEATS, AND MUCH MORE! !, $62,940 ORIGINAL MSRP!!. Priced below KBB Fair Purchase Price! Certified. Mercedes-Benz Certified Pre-Owned Details: * Vehicle History * Includes Trip Interruption Reimbursement and 7 days/500 miles Exchange Privilege * Warranty Deductible: $0 * Limited Warranty: 12 Month/Unlimited Mile beginning after new car warranty expires or from certified purchase date * Transferable Warranty * 165 Point Inspection * Roadside Assistance CARFAX One-Owner. Black on Black.PREMIUM ONE PACKAGE, SMARTPHONE INTEGRATION, APPLE CARPLAY/ANDROID AUTO, LANE TRACKING, LANE KEEPING ASSIST, COMMAND NAVIGATION, SIRIUS XM SATELLITE RADIO, COMFORT ACCESS, PARKING ASSIST PACKAGE, PARKING PILOT SYSTEM, SURROUND VIEW CAMERA SYSTEM, HEATED STEERING WHEEL, HARMON KARDON SURROUND SOUND SYSTEM, DYNAMIC SELECT, COLLISION PREVENTION ASSIST PLUS, HEATED FRONT SEATS, AND MUCH MORE! !, $62,940 ORIGINAL MSRP!!. DRIVER ASSISTANCE PACKAGE, DISTRONIC PLUS®, PRESAFE® BRAKE, ILLUMINATED DOOR SILLS, WOOD LEATHER STEERING WHEEL, PANORAMIC SUNROOF, COMFORT ACCESS, AIRSCARF®, ACTIVE MULTICONTOUR SEATS, ACTIVE VENTILATED SEATS, COMMAND NAVIGATION, BI-XENON ACTIVE LIGHT SYSTEM, HARMON KARDON PREMIUM SOUND SYSTEM, MAGIC VISION CONTROL HEATED WASHERS, PREMIUM AMBIENT LIGHTING, ELECTRONIC TRUNK CLOSER, AND MUCH MORE! !, $114,405 ORIGINAL MSRP!!. Certified. Mercedes-Benz Certified Pre-Owned Details: * 165 Point Inspection * Vehicle History * Transferable Warranty * Limited Warranty: 12 Month/Unlimited Mile beginning after new car warranty expires or from certified purchase date * Includes Trip Interruption Reimbursement and 7 days/500 miles Exchange Privilege * Warranty Deductible: $0 * Roadside Assistance CARFAX One-Owner. Clean CARFAX. Obsidian Black Metallic on Silk Beige/Espresso Brown.DRIVER ASSISTANCE PACKAGE, DISTRONIC PLUS®, PRESAFE® BRAKE, ILLUMINATED DOOR SILLS, WOOD LEATHER STEERING WHEEL, PANORAMIC SUNROOF, COMFORT ACCESS, AIRSCARF®, ACTIVE MULTICONTOUR SEATS, ACTIVE VENTILATED SEATS, COMMAND NAVIGATION, BI-XENON ACTIVE LIGHT SYSTEM, HARMON KARDON PREMIUM SOUND SYSTEM, MAGIC VISION CONTROL HEATED WASHERS, PREMIUM AMBIENT LIGHTING, ELECTRONIC TRUNK CLOSER, AND MUCH MORE! !, $114,405 ORIGINAL MSRP!!. Obsidian Black Metallic on Silk Beige/Espresso Brown. PREMIUM PACKAGE, MULTICONTOUR FRONT SEATS, MASSAGE FRONT SEATS, HEAD UP DISPLAY, SURROUND VIEW CAMERA, HEATED SEATS, AMG® SPORT PACKAGE, DRIVER ASSISTANCE PACKAGE, DISTRONIC PLUS®, ACTIVE BLIND SPOT ASSIST, ACTIVE LANE KEEPING ASSIST, COLLISION MITIGATION SYSTEM, CROSS TRAFFIC ASSIST, PRESAFE PLUS, TRAFFIC SIGN RECOGNITION, DESIGNO BLACK PIANO TRIM, 20 AMG® MULTISPOKE WHEELS, FULL LED LIGHTS, ACTIVE PARKING ASSIST, POWER REAR SUNSHADE, SIRIUS XM SATELLITE RADIO, AND MUCH MORE! !, $139,975 ORIGINAL MSRP!!. Priced below KBB Fair Purchase Price! Certified. Mercedes-Benz Certified Pre-Owned Details: * Includes Trip Interruption Reimbursement and 7 days/500 miles Exchange Privilege * Transferable Warranty * Roadside Assistance * Warranty Deductible: $0 * Limited Warranty: 12 Month/Unlimited Mile beginning after new car warranty expires or from certified purchase date * 165 Point Inspection * Vehicle History CARFAX One-Owner. Silver on designo® Crystal Gray/Black.PREMIUM PACKAGE, MULTICONTOUR FRONT SEATS, MASSAGE FRONT SEATS, HEAD UP DISPLAY, SURROUND VIEW CAMERA, HEATED SEATS, AMG® SPORT PACKAGE, DRIVER ASSISTANCE PACKAGE, DISTRONIC PLUS®, ACTIVE BLIND SPOT ASSIST, ACTIVE LANE KEEPING ASSIST, COLLISION MITIGATION SYSTEM, CROSS TRAFFIC ASSIST, PRESAFE PLUS, TRAFFIC SIGN RECOGNITION, DESIGNO BLACK PIANO TRIM, 20 AMG® MULTISPOKE WHEELS, FULL LED LIGHTS, ACTIVE PARKING ASSIST, POWER REAR SUNSHADE, SIRIUS XM SATELLITE RADIO, AND MUCH MORE! !, $139,975 ORIGINAL MSRP!!. Silver on designo® Crystal Gray/Black. KEYLESS GO COMFORT PACKAGE, AIR BALANCE PACKAGE, FULL LED LIGHTING PACKAGE, ADAPTIVE HIGHBEAMS, ACTIVE CURVE ILLUMINATION, PARKTRONIC with ACTIVE PARKING ASSIST, HEATED AND VENTILATED FRONT SEATS, ACTIVE MULTI-CONTOUR FRONT SEATS, HANS FREE ACCESS, MAGIC VISION CONTROL, AMBIENT LIGHTING, SOFT CLOSE DOORS, ELECTRONIC TRUNK CLOSER, WARMTH AND COMFORT PACKAGE, POWER REAR SEATS, REAR MEMORY SEATS, VENTILATED REAR SEATS, HEATED STEERING WHEEL, HEAR HEATED SEATS PLUS, FRONT AND REAR HEATED ARM RESTS, SURROUND VIEW CAMERA, DRIVERS ASSISTANCE PACKAGE, DISTRONIC PLUS® WITH STEERING ASSIST, ACTIVE BLIND SPOT ASSIST, ACTIVE LANE KEEP ASSIST, TRAFFIC SIGN ASSIST, AMG® RED BRAKE CALIPERS, NIGHT VIEW ASSIST PLUS, PANORAMA ROOF, BURMESTER SURROUND SOUND STEREO SYSTEM, AND MUCH MORE!, $159,735 ORIGINAL MSRP. Priced below KBB Fair Purchase Price! Certified. Mercedes-Benz Certified Pre-Owned Details: * Roadside Assistance * Transferable Warranty * Includes Trip Interruption Reimbursement and 7 days/500 miles Exchange Privilege * Limited Warranty: 12 Month/Unlimited Mile beginning after new car warranty expires or from certified purchase date * Warranty Deductible: $0 * Vehicle History * 165 Point Inspection CARFAX One-Owner. Obsidian Black Metallic on Black.KEYLESS GO COMFORT PACKAGE, AIR BALANCE PACKAGE, FULL LED LIGHTING PACKAGE, ADAPTIVE HIGHBEAMS, ACTIVE CURVE ILLUMINATION, PARKTRONIC with ACTIVE PARKING ASSIST, HEATED AND VENTILATED FRONT SEATS, ACTIVE MULTI-CONTOUR FRONT SEATS, HANS FREE ACCESS, MAGIC VISION CONTROL, AMBIENT LIGHTING, SOFT CLOSE DOORS, ELECTRONIC TRUNK CLOSER, WARMTH AND COMFORT PACKAGE, POWER REAR SEATS, REAR MEMORY SEATS, VENTILATED REAR SEATS, HEATED STEERING WHEEL, HEAR HEATED SEATS PLUS, FRONT AND REAR HEATED ARM RESTS, SURROUND VIEW CAMERA, DRIVERS ASSISTANCE PACKAGE, DISTRONIC PLUS® WITH STEERING ASSIST, ACTIVE BLIND SPOT ASSIST, ACTIVE LANE KEEP ASSIST, TRAFFIC SIGN ASSIST, AMG® RED BRAKE CALIPERS, NIGHT VIEW ASSIST PLUS, PANORAMA ROOF, BURMESTER SURROUND SOUND STEREO SYSTEM, AND MUCH MORE!, $159,735 ORIGINAL MSRP. Obsidian Black Metallic on Black. Why Choose a Used Mercedes-Benz? Ready to find the used Mercedes-Benz for you? 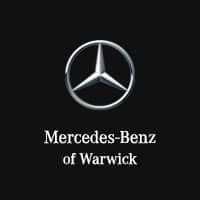 Make your way from Cranston to Mercedes-Benz of Warwick today! In the meantime, take a look at our pre-owned Mercedes-Benz specials and used inventory.